Fetch ‘n’ Fun believe in fun and positive training methods to receive positive results. Our programs provide reliable, simple and effective solutions to meet the needs of our clients. At Fetch ‘n’ Fun, we understand how important your fur babies are in your life and understand how life can be pretty hectic and it’s tough to juggle family and work commitments. When you add a naughty dog to that mix it can be exhausting. Targeted at: Puppies from 8 – 16 weeks ONLY. This course is designed for puppies in their critical period of development. Content: The course will cover environmental socialisation, foundations of lead manners, basic obedience, nutrition, confidence building, trouble shooting common puppy problem behaviours, play and food reward, appropriate dog to dog interactions. Additional: Children are allowed to attend however the handler of the dog must be over 16 years of age. Puppies will not be off lead at any time to ‘free play’. 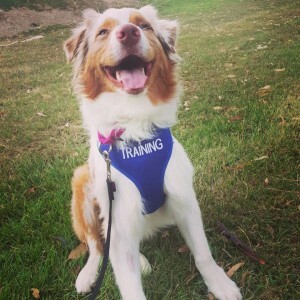 See our attached Training Options page and contact us know to get your doggy all booked in.